Whether your company requires design and engineering support or assistance calculating the volume of tank necessary for your particular receiver application, LaGrange Products will knowledgeably collaborate with your staff to produce the proper air receivers to satisfy your specific needs. 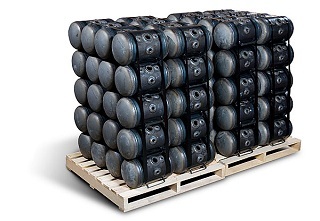 Air receiver tanks are an essential component of any compressed air system, from high school shop classrooms to the largest manufacturing facilities. Serving as primary and secondary temporary air storage, and also allowing your system to perform more efficiently, air receivers must handle an immense amount of pressure, be exceptionally durable and provide continuous service. They can be used for contaminant removal, pulsation dampening, pressure stabilization and help control energy costs.